Poor Dean. When last we saw the Winchesters in the Supernatural Season 9 winter finale, Sam (Jared Padalecki) was barely healthy enough to limp along with an angel stashed inside his body, leaving Dean (Jensen Ackles) with no choice but to lie to his brother to keep him alive. First came the harsh truth that the angel inside wasn’t the kind-hearted and brave Ezekiel, but instead one named Gadreel of questionable background and morals. Not only had an imposter taken up residence inside Sam, but Metatron convinced the wayward angel to join his side and Gadreel took Sam’s body with him. And, as if things couldn’t get any worse, Kevin was murdered by Gadreel on his way out. Dean is not having the best year and — considering this is a man who has died multiple times and spent hundreds of years in Hell and Purgatory — that’s saying something. When Supernatural returns on Jan. 14 with a whole new episode, those are just a few of the issues that will be addressed. What will Dean do to fix all of the problems he’s dealing with? Check out some sneak peeks below to find out. 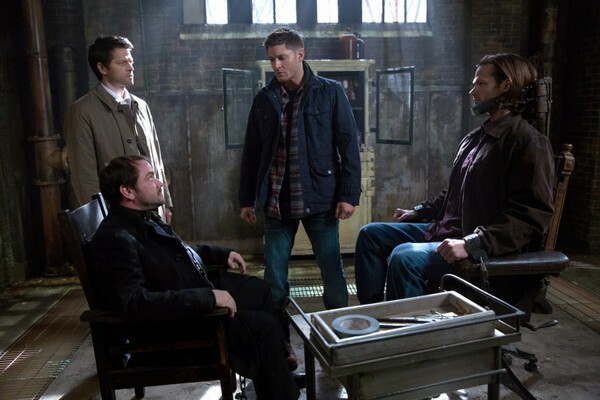 Below is the trailer for the episode “Road Trip.” In it Dean finds out from Castiel (Misha Collins) that one way to give Gadreel the boot from Sammy’s meat suit is by making a deal with Crowley (Mark Sheppard). Luckily it won’t be for Dean’s soul, but it looks like the price could be almost as hefty. Next up is a clip from the episode. 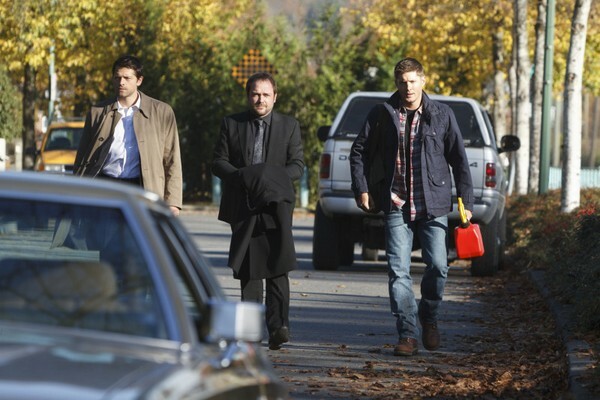 In it, Crowley asks Dean for a little fresh air in exchange for breaking Sam free from Gadreel. Castiel isn’t convinced that it’s a good idea to let Crowley out, even with chains on, but Dean thinks they have little choice. That’s when Crowley realizes the extent of Dean’s dilemma. 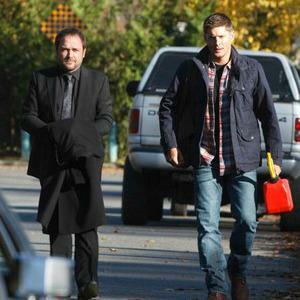 In a photo from the episode, it looks like Crowley and Dean eventually come to an agreement because they’re set up and ready to start the job. In another photo from the episode, it looks like Crowley has to resort to some tough methods to try and get Gadreel to vacate his new digs. Do you think Crowley can free Sam of Gadreel in the next episode of Supernatural?